AFC (against static electricity froth cleanser), ASA (against static electricity spray solution), EAD (compressed air medicinal preparation [dust removal medicinal preparation]), EADP (force compressed air medicinal preparation [dust removal medicinal preparation]), FRE (anxious refrigerant [refrigerant]), HCG (electric conduction copper paste), MCF (anti-static electricity refrigerant), PRP (photosensitizers), LRM (label scavenging agent) characteristic: the * injector, the pump pressure spray solution, the tube attire, the aerosol, scratch the wiping rags, the standard shape to pack the * gas dust removal medicinal preparation and refrigerant the * cleanser and coating the * lubricant and lubricating oil the * heat conduction fat and resin the * maintenance, the test, the service and small batch production the * coating and the galvanization atomize the product synopsis: [collects audiences Yi Ligao] to manage many kinds of products, uses in the producer, and transfers the contractor including the OEM manufacturer, develops many year portable packing is the maintenance and the service profession ideal thing. These packing include: The aerosol, the pump pressure type spray solution, the injector, the tube attire, the pen install, packed in bags and are canned. takes [collects audiences Yi Ligao] a product part, the gas dust removal medicinal preparation (GDP, EADI, EAD, EADP) and refrigerant (FRE) is in the electronics industry frequently asked questions provides simple and the economy effective solution. the gas dust removal medicinal preparation uses in removing spot and so on magnetic head, out of reach part, camera installation dusts and the contamination, also after using in the clean, helps the moisture content and the resolver dissipation. 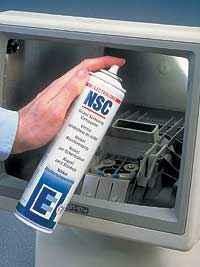 the refrigerant may part's temperature fast reduction to 40 degrees below zero. it may confirm the failed part rapidly. Other need the very big labor intensity to the complete part's examination method. The special configuration [collects audiences Yi Ligao] against static electricity refrigerant to guarantee that the lowest electric charge level, enables its to be possible to use in the static electricity sensitive unit safely. maintenance series product including hard-faced cleanser (AFC), cyano bond (CYL), mark fluid (BLV, BLR), electronic contact clean lubricant (EML, SWC) and other products, these products, regardless to serviced the photogravure press or Engineer PCB board is very important. [collects audiences Yi Ligao] also to be possible to provide the complete solution for mechanical engineer. industry maintenance thing: [collects audiences Yi Ligao] the industry maintenance thing including the high grade coating, the galvanization spray solution, the mechanical lubricant, models specially mastic, the silicone oil and spreads the picture cleaner, may solve the machinery and service the question which engineer meets.